Oxidised sterling silver Bali hoops. They are quite light in weight and comfortable to wear. A pair of sterling silver hoops earrings. This pair is ideal for everyday use. A small pair of sterling silver hoops earrings. This pair is ideal for everyday use. Simple and beautiful, these petite sterling silver hoop earrings are great for everyday wear. 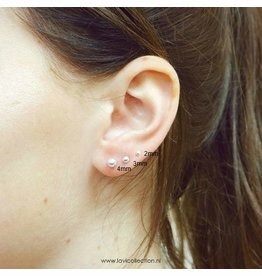 The current trend is to wear small earrings / stud earrings , this small stud earrings are perfect to mix.